The arms, wrists and hands are the most frequently used parts of the body. These areas can succumb to problems such as tension, arthritis, tendinitis and injury, especially as we get older. 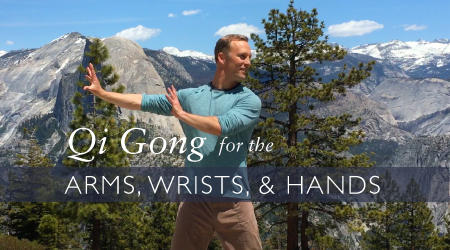 With Qi Gong’s gentle stretching and easy, flowing movements, we can improve circulation, clear tightness and pain, and bring healing energy to the arms, wrists and hands. We live in an age of repetitive motion. From texting to typing, from cooking to working in the garden, the hands often get overworked and strained. With the correct stretches and exercises, we can clear tension, tightness, and pain through the lower parts of the arms. The arms, wrists and hands are the most widely used parts of the body. It’s no wonder that these areas of the body hold so much tension and are easily injured. From arthritis to tendinitis, the hands are prone to lots of problems. I want to show you a natural solution called Qi Gong. Qi Gong is an ancient form of exercise originating in China thousands of years ago. Qi Gong is a form of mind/body fitness that activates the natural healing energy in the body. It helps with pain, clears tension, relieves stress, and boosts energy. 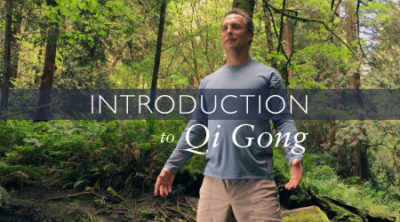 Qi Gong can be an effective solution to the many aches and discomforts in the body. Qi Gong is often referred to as the art of preventing disease and prolonging life. Through gentle stretching, flowing movements, and improved circulation, Qi Gong can help bring healing energy to the arms, wrists and hands.